I removed my A/C box and noticed the plastic clip holding the rod in place to the blend door is broken. Do they reproduce these? I’ve searched and came up empty.. couldn’t find a alternative fix either.. any help.. It'll be a salvage item, finding a simular clip or make a clip/retainer that fits work. Someone could have a NOS one but most likely to have a NOS price. 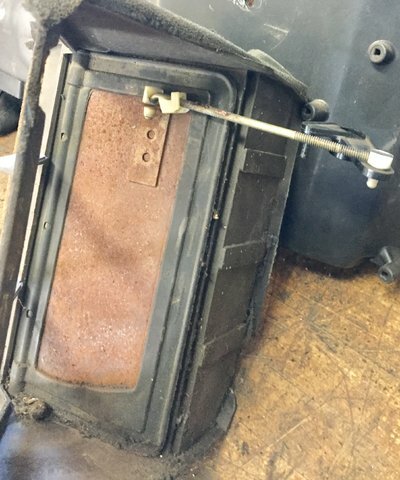 Whose modified AC/heater box is this?? ?